Saitama doesn’t get a lot of respect. This prefecture has a reputation, especially among those who live in the posher precincts of Tokyo, as the land of boring bed towns, populated by the tragically unhip. Saitama native Yu Irie’s 2009 film “8,000 Miles,” about aspiring rappers from his home prefecture, made delightfully gritty comedy from this reputation. Widely screened abroad, it became the first in a trilogy and launched Irie on a career that has since alternated between the commercial and indie ends of the spectrum. His latest, the dark family drama “Vigilante,” is decidedly at the latter end. 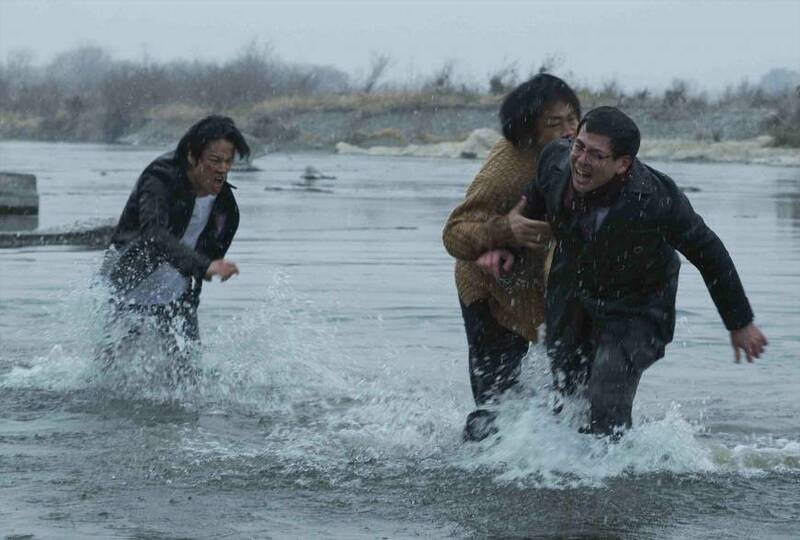 Working from an original script, Irie shot it in his hometown of Fukaya, but its focus is tightly, almost obsessively, on its three principals and those in their immediate orbits. As the film begins, they are boys united in hatred for their abusive father, a local power broker. 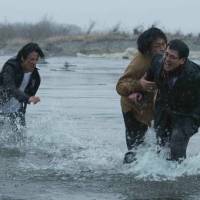 When their mother dies, simmering tensions explode and the eldest son, Ichiro, does a disappearing act. When he returns, 30 years later, the father has just died and his two siblings have taken widely divergent paths: Second son Jiro (Kosuke Suzuki) has become an earnest city councilman, while third son Saburo (Kenta Kiritani) has devolved into the unhappy manager of a mob-connected “delivery health” (call girl) service. Ichiro, played by Nao Omori in his world-weary tough guy mode, tells the other two he has a notarized will entitling him to all his father’s assets, leaving them with nothing. Naturally, this does not sit well with Jiro and Saburo. Jiro especially needs a patch of Dad’s land that has been earmarked for an outlet mall. With it, his future is bright; without it, the local big men will turn on him pitilessly. The stage is now set for sibling rivalry that soon takes a nasty, violent turn, against a backdrop of political intrigue and social turmoil that involves everyone from contending gangsters to embattled Chinese migrants. Unlike the many Japanese films set in hinterlands that portray the locals as pure-hearted, unsophisticated types, “Vigilante” is a deep, revealing dive into a bottomless pit of human depravity and greed. Strengthening this impression of moral darkness and general hopelessness are the many scenes shot at night under either the stars or spotty indoor lighting. The characters seem to inhabit an underworld of flickering gloom in which even pitched battles feel somehow shadowy and slo-mo, as though fought by the denizens of nightmares, not flesh-and-blood humans of waking reality. Among the demons of this provincial hell is Omori’s Ichiro, who is an oddly commanding presence, despite looking as though he hasn’t slept in days or exercised since some dimly remembered high school gym class. He dominates more by force of his brutal nature and iron will than any physical superiority, though he metes out violence to those around him as freely as if he’s handing out Halloween candy. By contrast, Jiro and Saburo impress as less forceful, making Ichiro’s triumph seem initially inevitable. But both prove to be more than push-overs, as the film’s various conflicts play out to less than foregone conclusions. Long before, however, I was yearning to see light at the end of the film’s chthonic tunnel. Irie is finally to his hometown what Dante was to Hades. The Fukuya tourist board, I’m afraid, will not approve.